Writing an article on the Princeton offense is not an easy task as there is really no set "pattern" per se (such as the flex offense). Instead, it's more of a way of playing offense using certain principles that require the offensive player to read the defense. For the most part, it is unstructured, using screens and cuts, reading and reacting to the defense. 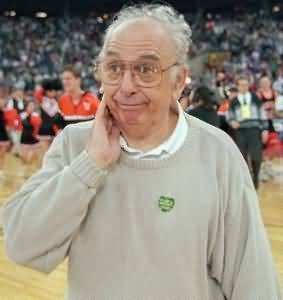 The Princeton offense was pioneered by Pete Carril at Princeton some years ago. Variations are used by college teams (Georgetown, Northwestern, Arizona State, Air Force and Colorado) and NBA teams (New Jersey, Washington, Sacramento, New Orleans). It has been said that this offense might benefit a team whose players are less athletic than most of their opponents. However, I don't think this is correct, as the Princeton offense requires all players to be good passers, ball-handlers (dribbling skills), and good outside shooters (3-point shots), as well as possess a high basketball IQ, or savvy. If you have a bunch of players like that you can probably win with any offense! Since players must have a good understanding of the game and know how to read the defense, this offense would not be an ideal choice for a youth or middle-school level team in my opinion. This offense would fit a team lacking tall post players, but with good, smart perimeter players. The Princeton offense is a more deliberate offense, oftentimes with many passes each possession. This tends to slow the game down, controlling the tempo, usually resulting in lower game scores. 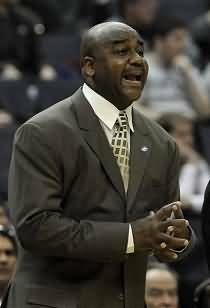 Coaches have to be completely committed to this offense as it is a free-lance offense with less control from the bench. Certainly, however, plays and quick hitters can be called. The Princeton offense can be used against man-to-man and zone defenses. Against zones that pack the paint, open 3-point shots, attacking the gaps in the zone and attacking the baseline are effective techniques. The hallmarks of the offense are the spread offense and spacing, constant motion, the back-door cut and lay-up, hitting open 3-point shots, flare screens and screens away from the ball. The basic set can be 4-out with 1-in (either at the high post, or low post), a 2-3 high set, or a 1-2-2 (5-out) set. A smart post player with good passing skills is important as the offense will tend to revolve around the center, who is often a playmaker. When in the 4-out high or 2-3 high set (diagram A), you can see that all players are located at or above the free-throw line extended. This creates space underneath for cutting, especially back-door cuts. The high set and constant motion help eliminate the helpside defense inside. A variety of entries are possible... pass with give and go, UCLA cut, dribble-at with back-cut, high post feed, weave-screen, etc. For the complete article, including several entries into the offense, basic movement, cutting, passing and rules of the offense, as well as an animation, become a Premium Member, or get the Playbook download. with Kevin Pigott, Fordham Preparatory School (NY) Head Boys Basketball Coach. with Lee DeForest, Garrard County High School Head Boys Coach.